Thelma Purvis Williams,91, passed away Saturday, August 11, 2018 at Kingswood Nursing Facility, Aberdeen, NC..
Funeral service will be 2:00 PM, Wednesday, August 15, 2018 at Pleasant Hill United Methodist Church, where she was a long time member, with the Reverend Darrell Williams officiating. Burial will follow in the church cemetery. 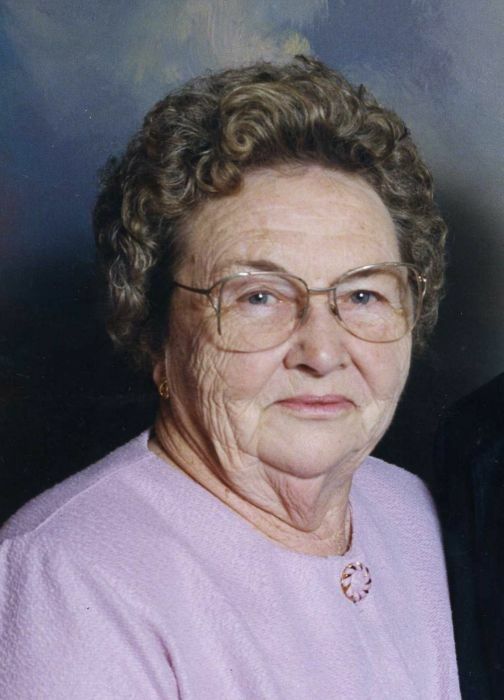 Thelma was born in Randolph County and lived most of her life in Moore County. She was a loving wife, mother and grandmother. Thelma enjoyed gardening, flowers for hanging baskets, quilting, sewing, cooking and caring for her home and family. She also helped her husband on the family poultry farm. Thelma was proud of all her family and time spent with the grandchildren brought her great joy. She was a daughter of the late Lonnie and Mary Eliza Caviness Purvis and was preceded in death by her husband Cranford and 4 siblings. Thelma is survived by sons: Darrell Williams and wife Linda; Allen Williams and wife Annette, daughters: Elaine Criscoe and husband Andy, Barbara Morgan and husband Johnny; grandchildren: Angela Hart, Andrew Williams, Heather Montague, Heidi Brown, Aaron Williams, Meredith Freeman, Amber Keene, Daniel Nicodemus, Lauren Criscoe, Caleb Criscoe; 17 great grandchildren, 1 great great grandchild; many nieces, nephews and friends. The family will receive friends from 6 to 8 PM, Tuesday, August 14, 2018 at Kennedy Funeral Home and at other times at the home of Barbara Morgan. Memorials can be made to Alzheimer's Association, 225 N Michigan Ave., Floor 17, Chicago, IL, 60601.